There are few experiences that are as wondrous as gazing up at an inky black, twinkling night sky. 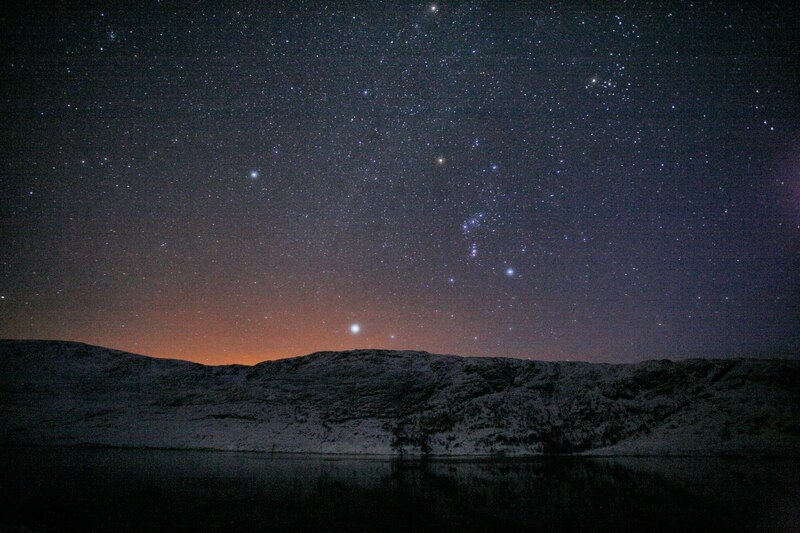 Find out why now is the time and Scotland the place to go stargazing. When it comes to great stargazing locations, southern Scotland might not be top of your list. However, it's deep in the heart of the beautiful countryside of Dumfries & Galloway that you will find some of the blackest, and starriest, skies in all of Europe. Rolling green hillsides, glistening beaches and endless expanses of forest; Dumfries & Galloway is a joy to explore in the daytime, but stay after dark, and you can experience the region at its most dazzling. Galloway Forest Park spans 75,000 hectares and is Scotland's Dark Sky Park. It is also almost completely uninhabited with practically zero light pollution. In fact, it ranks an impressive 23.6 out of 25 on the International Dark Sky Association’s scale of darkness - fantastic news for professional and amateur astronomers alike. 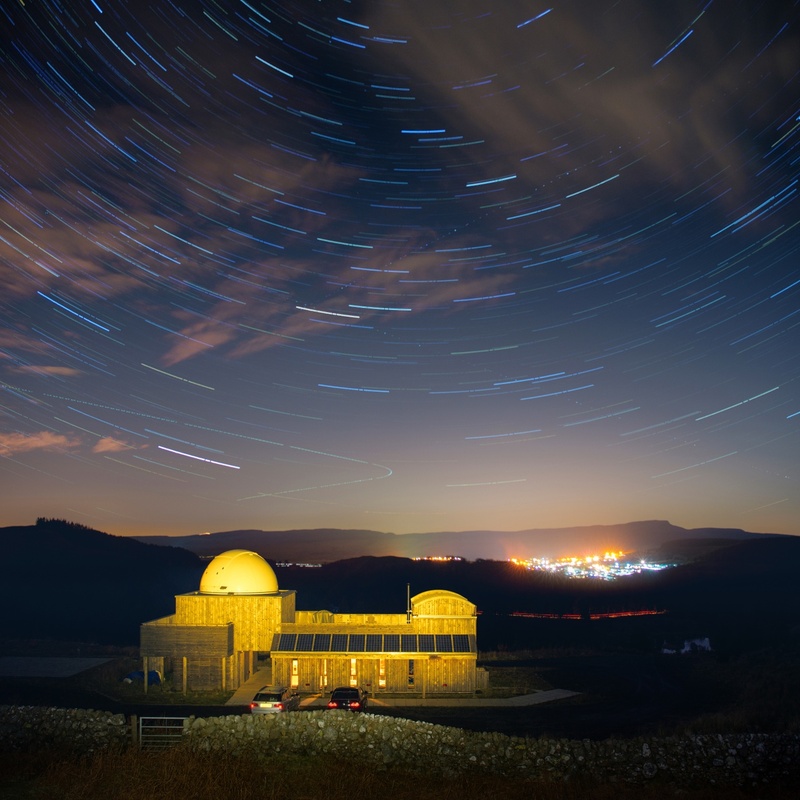 Once inside the park, head to the Scottish Dark Sky Observatory, an incredible stargazing hotspot that welcomes all stargazers. With just your naked eye, gaze up at thousands of glimmering stars, constellations, far-off planets and even the lustrous Milky Way. The observatory is a state-of-the-art facility which boasts two immense telescopes and a roll-off roof which showcases the night sky in all its celestial glory. Admire breath-taking magnified images of astronomical marvels like the Whirpool Galaxy and, if you’re really lucky, the occasional meteor shower. Find out more about Scotland's National Parks. Galloway Forest Park isn't the only place where you can find a clear night sky. Dumfries & Galloway is also home to Europe’s first Dark Sky Town. Moffat is a small town which has ‘dark sky friendly’ street lamps which leave the sky above unobscured by the orange haze of artificial light. So pack a flask, wrap up warm, and watch as the sky becomes studded with glittering stars. Moffat is one of many locations across Scotland which have all the key ingredients for optimum stargazing conditions. Here are some of the standout Dark Sky Discovery sites you can visit this autumn and winter when low temperatures ensure the highest possible clarity. Find out more about Scotland's Dark Sky Discovery Sites. Although the South of Scotland is undoubtedly an amazing destination to take in the wonder of the night sky, the great news is that there are plenty of locations right across the country. That means that no matter what part of Scotland you decide to vist, you're sure to be in with a chance of catching some incredible sights. You don’t have to venture far from Scotland’s capital for a spot of stargazing. Newbattle Abbey is located to the south of Dalkeith and is the best place to stargaze near Edinburgh. The abbey was awarded Orion site status by Dark Sky Scotland, meaning that the eight main stars of the constellation are easily visible. Another of Scotland’s many designated Dark Sky Discovery Sites, Glen Nevis, is a rugged wilderness that couldn’t be easier to reach. With its own visitor centre and ample car parking, the glen is an ideal places to enjoy a spot of stargazing. The towering mountains all around are only rivalled in majesty by the pitch black sky with its glimmering stars. If you're looking for somewhere a little more off the beaten path, you cant do much betteer than the Isle of Coll, which is designated as Scotland's Dark Sky Island. There are zero street lights on the island which means you can look forward to a heavenly vista that is truly out of this world. Look for luminous clusters like the Beehive and the glow of the Great Orion Nebula. Shetland and Orkney, locations as sublimely beautiful as they are remote, are as close you can get to the Arctic Circle within the UK. They're also places where you have a high chance of catching a highly coveted sighting of the Aurora Borealis or Northern Lights. Locals here have their own name for this ethereal natural phenomenon, the ‘Mirrie Dancers’. You don’t have to travel all the way to Scotland’s most northerly islands to see these shimmering bands of green, red and orange light, but the otherworldly atmosphere and wild beauty of Shetland and Orkney make the experience even more magical. 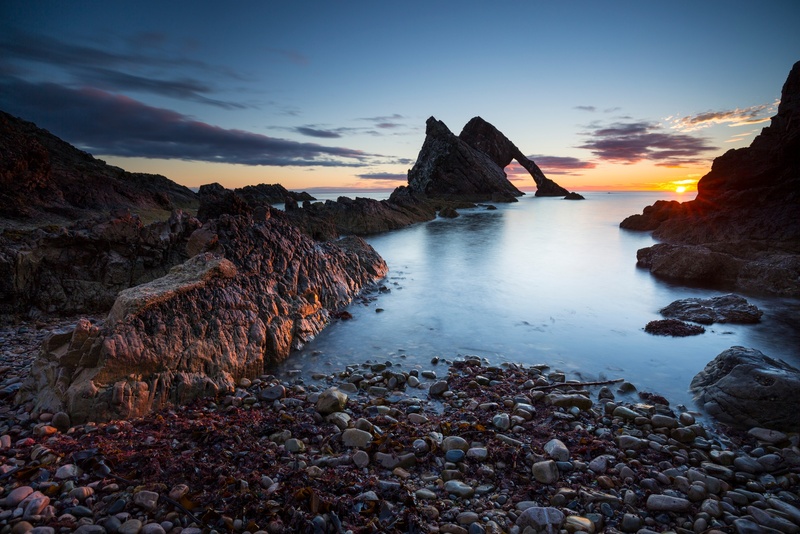 There are also spots scattered across the Moray Coast,which straddles Aberdeenshire and the Highlands, where you can observe incredible night skies. SIGMA, the Moray’s Astronomy Club runs a series of events throughout the winter period which invite members and guests the chance to enjoy the starry spectacles with the help of specialist instruments including powerful telescopes. The Glenlivet Estate, located within the Cairngorms National Park, could soon be Scotland’s second Dark Sky Park. Spanning 23,000 hectares, it already contains three Dark Sky Discovery Sites. With big, expansive views of the night sky, hardly any light pollution and easy access, Glenlivet is the perfect place to spend a night or two watching the moon and stars come out to play. February will also see the first Hebridean Dark Skies Festival. Held at An Lanntair and across the Isle of Lewis from 8-21 February, it unique programme of events celebrate art, science and the wonders of astronomy. Find out more about the Hebridean Dark Skies Festival.